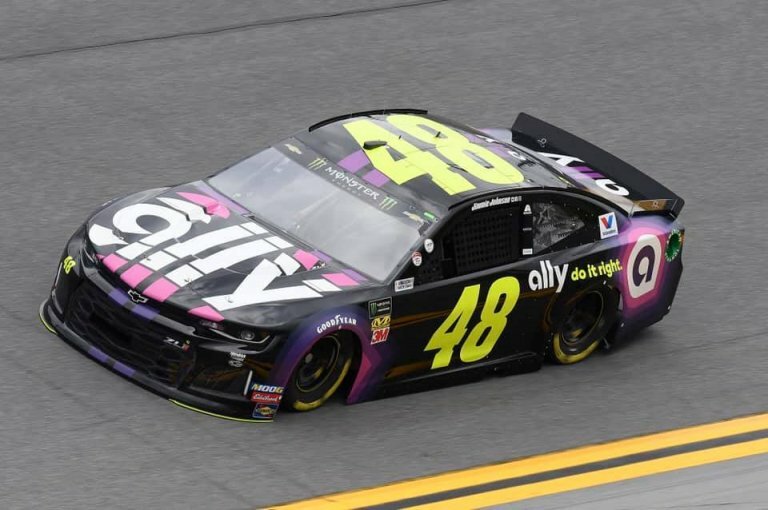 Jimmie Johnson went winless in 2018. That was the first time that happened since his NASCAR rookie year in 2001. Now, in the very first race of 2019, Johnson put his Chevy Camaro in victory lane. It was an exhibition race, the Clash at Daytona. But, nonetheless it’s a NASCAR win. 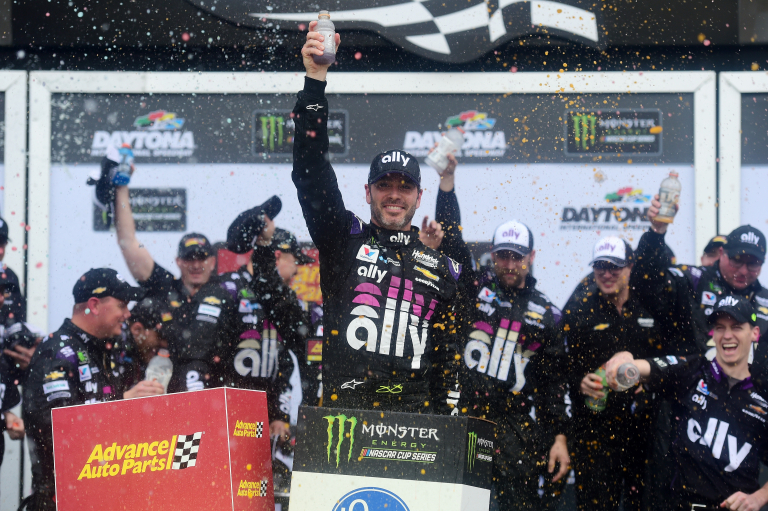 “I’ve mentioned it many times, I’m far from done,” Jimmie Johnson stated in the Daytona International Speedway media center after the win in The Clash. However, the win didn’t come without a little controversy. The rain was on the way. Right before it hit, Johnson and Menard tangled at the front of the field. All but four cars made it through. Only 3 of them avoided the accident completely. Johnson worked to the inside of Paul Menard. Johnson came up two inches and Menard came down two inches. There wasn’t four inches of wiggle room. Matt Weaver: Can you walk us through the incident? “I was inside of him for a little while before things went haywire. So, I don’t know what caused his car to get out of control,” Johnson stated. Dustin Long: Is there remorse or what’s the mindset? “When you drive into somebody and spin them out then you know what you did. I pulled up alongside of another car and a wreck started,” Johnson continued. It was not the white flag lap. However, after this crash, the race was called due to rain. So, it did become the white flag lap. Jimmie is saying that he knew the race was soon to end due to rain. The alternative is to let it go and let it built. Then, watch it build to the point of crashing each other out, every week. Which isn’t good for either driver. Joey Logano found that out the hard way when he didn’t reach out to Matt Kenseth following a crash at Kansas Speedway. Weeks later, Logano went from leading the race at Martinsville to climbing out of a torn race car. Jeff Gluck: Do you have to send a group text? What happens now? “I’ll definitely reach out to Paul. I think a phone call goes much further than a text. It would be even better, face to face, but I’m assuming he’s gone,” Johnson stated.